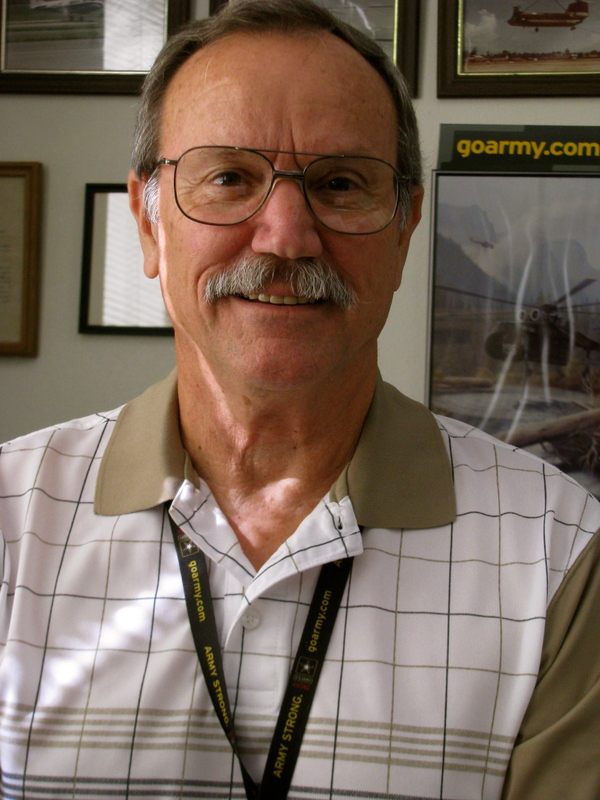 Warrant Officer 5th Class Jim Stivers of North Port flew Army Hueys, Sky Crane and Chinook helicopters starting in Vietnam and for the next three decades. He eventually became an instructor pilot who checked out helicopters pilots around the world. His aviation odyssey began in 1965 when he joined the Army and went to helicopter mechanic’s school in Fort McClellan, Ala. After getting out of mechanic’s school Stivers decided he’d rather fly them than work on them. “I spent five months learning how to fly a little tiny Army helicopter in Texas. then I was transferred to advanced helicopter school at Fort Rucked, Ala.,” the 67-year-old former pilot said. “From there I was sent to Fort Sam Houston, Texas for medical helicopter training. “When I finally reached Vietnam in 1969 I was assigned to the 498th Medical Company. 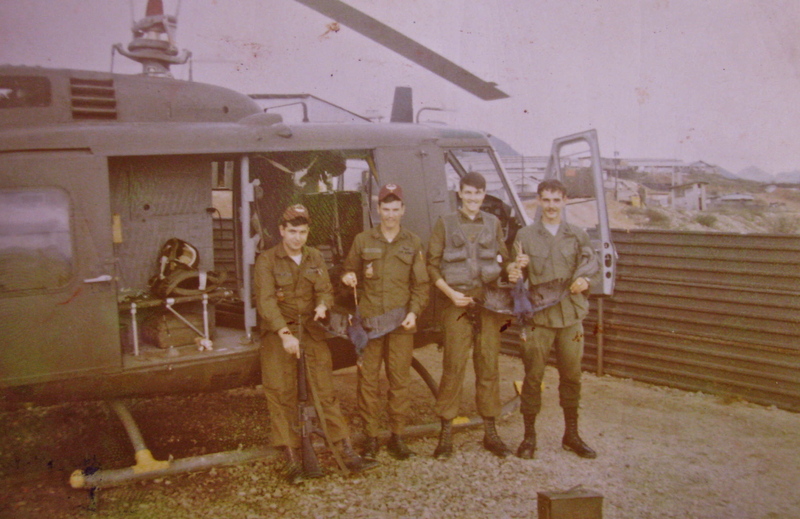 We flew Hueys out of the Central Highlands of Vietnam,” Stivers explained. “Our job was to provide medical helicopter support for the Korean Tiger Division as well as the American 4th Infantry Division. “The difference between the medical evacuation helicopters and the gunship helicopters is that most of the time we flew at night. The reason we did that is because most of our people were wounded at night,” he said. “On night missions we would try and have a gunship accompany us to pick up the wounded. But often times the gunships took too long getting airborne so we would fly out by ourselves and try and get the wounded back to a hospital within a matter of minutes. “I remember a particular night when gun ships weren’t available and we flew out to an LZ (Landing Zone) to pick us some wounded. As we approached the LZ we could see the NVA (North Vietnam Army’s) green tracer bullets in front of us,” Stivers said. “As we touched down on the LZ for a second or two the NVA were dropping mortars very close. I told the medic in the back we were getting out of there and would go around again to pick up the wounded. He replied, ‘We’ve already got the two wounded guys loaded.’ It was that quick. We flew them to the nearby frontline hospital. “One guy had taken a shot through his lower jaw and was in tough shape. The other guy had a couple of rounds through his chest,” Stivers explained. “Our medic was working on the guy with the chest wounds. “We got them back to the hospital and shut our aircraft down. This may sound a little gruesome, but what we liked to do was watch the doctors operate on them. The guy we brought in that was shot in the jaw was evacuated out of the hospital about a week later for more treatment elsewhere. “We went on another mission during the day with support of the 4th Infantry Division. They were doing combat assaults and they had a couple of wounded along the side of a mountain we went out to pick up. “I had the rescue hoist. So I hovered over the trees and they strapped one of the wounded to the hoist. As we were pulling him up we started taking enemy fire. The gun ships rolled in hot and suppressed the enemy fire. “We got both guys up into the aircraft. One guy – I don’t know if he was alive or not. The other guy had taken a couple of rounds through the chest. Our medic was working on his chest wounds as we flew him to the hospital. “During he years I spent in Vietnam flying a Medevac helicopter I picked up 1,200 patients in my helicopter. We kept track of each sortie and each patient we picked up,” Stivers said. “On a typical day we might make 15 or 20 flights to pick up wounded. I remember working 19 hours straight one day. I made so many missions that day I lost count. “The bad part about flying in to pick up the wounded, most of the time it was done at night. If you got shot down there was no one to come to your rescue,” he said. “During all these flights I only got shot down one time. We took a round to the back of our aircraft. I think it may have hit our drive shaft. “Anyway we went down in a rice paddy. Fortunately for us there was a second medical evacuation helicopter that was flying with us. They picked us up in the rice paddy and we flew off unscathed. “Keep in mind, most of my flight crew were 19 and 20-year-old kids. I was the old man, I was 22,” Stivers recalled. “The guys on my aircraft were mostly all first timers. Occasionally we’d have a member of the crew who had come back for a second tour. “By this time I had decided to make the Army a career. I though I would put in for another tour of Vietnam. When I got on the plane in Seoul I didn’t realize I was going to end up in Seoul, Korea in March in my jungle fatigues. “I told them in Korea I would like to say in the helicopter program. They told me if I wanted to do that I would have to sign up for the Regular Army and stay in the service another couple of years. “When I reported to the aviation officer in Korea he put me in a VIP unit. I flew nothing but colonels, generals, congressmen and movie stars around he country. Mostly we took them to see the DMZ (Demilitarized Zone) up north,” he said. “One of my jobs was to fly the two-star general that was doing the armistice talks with he North Koreans to ‘Freedom Village’ along the DMZ. He’d sleep on the way up and then he’d get out, go talk to the North Koreans and then we’d fly him back south. “While he was talking to the North Koreans we’d shoot pool at the ‘Freedom Village’ squad room,” he said. “After Korea I returned home and was assigned to the 156 Medical Detachment at Fort Bragg, N.C. I did that for a few months until some time in 1972. The Vietnam War was winding down and the Army had too many warrant officers they didn’t need. After 6 years, six months and six days in the service, I was given my walking papers along with scores of others. “I went back to Kentucky and got in the Kentucky National Guard flying medical evacuation helicopters. After a year of that I got a job in Alabama working for a civilian company teaching National Guard soldiers how to flying ‘Sky Crane’ helicopters,” Stivers said. “They looked like giant praying mantis. 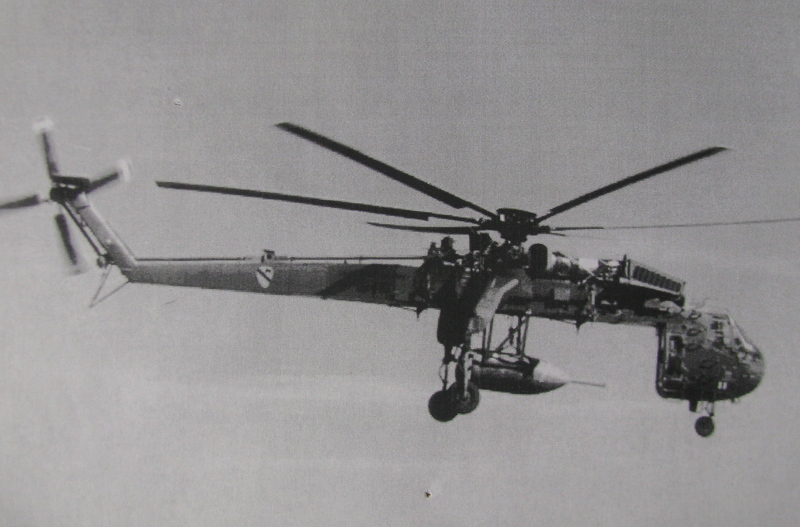 They were 99-feet-long from the front of their rotor to the tip of the aircraft. Their rotor diameter was 72-feet. The A-Model ‘Sky Crain’ could pick up 20,000 pounds and the B-Model 25,000 pounds. “I flew Sky Cranes for 7 years and then I had the opportunity to go back on active duty. I became a flight instructor on the Sky Crane with the National Guard for the next 10 years. “After that I got a chance to become a flight instructor on Sky Cranes with the Army at Fort Rucker. I became an instructor in charge of evaluating National Guard and Army Sky Crane pilots around the world,” he said. I did that for 15 years until they phased out the Sky Crane. 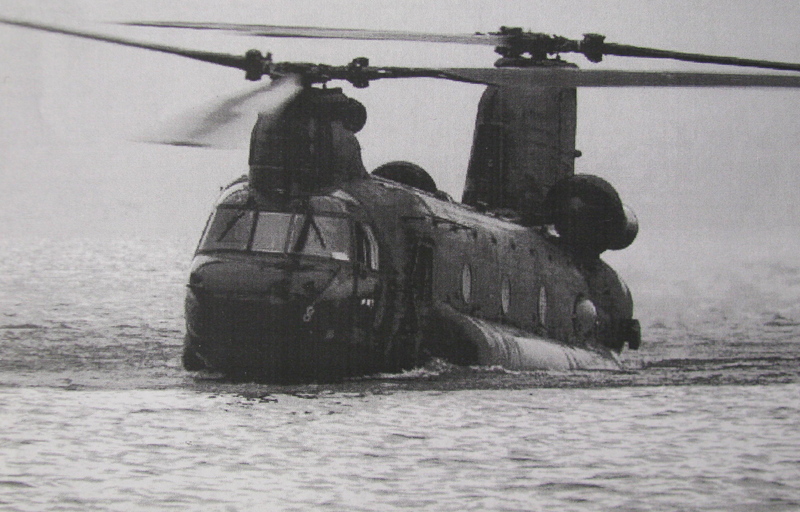 “Then I transitioned to the Chinook CH-47 helicopter. I flew them for the Army all over the world including getting the opportunity to fly with the 160th Special Operations Group, based at Fort Campbell, Ky. on a couple of missions. He and his wife, Vera, came to North Port where they retired. While talking to one of the Veteran Service Officers in Sarasota County, Stivers said it was suggested that he put for the job since one of the officers was retiring. Initially he told them he wasn’t interested, but finally decided to apply. In July 17, 2011 he got the job. Since then Stiver’s had been one of the local veterans service officers. He and his wife have three grown children: B.J., Jennifer and Susan. This story was first published in the Charlotte Sun newspaper, Port Charlotte, Fla. in two parts, Sunday, Jan. 12 and Wednesday, Jan. 16, 2013 and is republished with permission. Click here to view Jim’s collection in the Library of Congress.